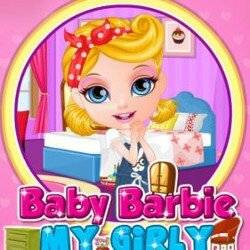 Baby Barbie has an amazing story to share with you! Her story is the proof that wishes do come true if you have a kind heart and you do good deeds. The baby girl rescued a magic fairy trapped in a spider web while walking in the park forest. Her kindness was repaid by the fairy with a wish granting. Can you guess what baby Barbie wished for? Well, she wanted to be a mermaid for a day! 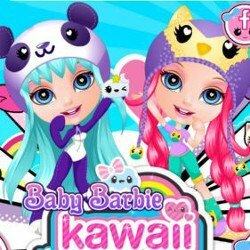 Wake up in Mermaids Land with baby Barbie and live an exciting underwater experience with the cute girl. Turn her into the most beautiful and fashionable mermaid ever making Disney princess Ariel envious and super jealous. The Mermaids Land has lots of surprises in store. Check out baby Barbie’s awesome new mermaid princess wardrobe. She can only be mermaid for a day and there are so many stunning outfits to wear. 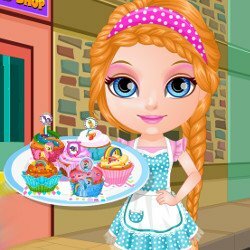 Dress up baby Barbie in dazzling mermaid princess tops, fishtail bottoms, jewels and hairstyles, mixing and matching the girly glam fashion items in as many attires as you can think of. Go for a pretty Disney Ariel look combining a blue or purple seashell bra top with green or Frozen blue fishtail bottom, red hairstyle, princess tiara, star or flower hair pin. Stay in trend with the latest ombre fashion replacing the hot red hairdo with a white and blue or white and pink haircut. 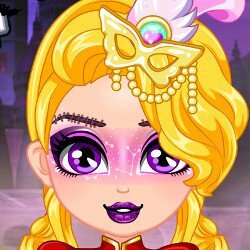 If you are bored with dress up, a fun pearls hunting adventure awaits you in Mermaids Land. 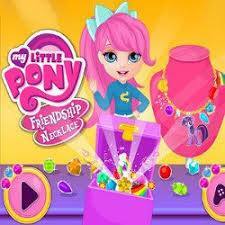 Collect many pearls and design a fab pearl necklace for the little mermaid to wear. 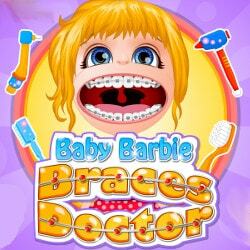 Have a blast playing our brand new Baby Barbie game!